These words may often lead to the demoralizing “it’s not you, it’s me” conversation. But when you’re married to Nick True, this phrase always leads to a “fun” budget conversation about savings opportunities. AKA, we identify things I need to stop buying (I have a bad habit of taking interest-free “loans” from my spending money category in YNAB… but that’s another post for another time). I think growing our emergency funds (yes, that’s plural) and brainstorming savings opportunities are some of Nick’s greatest joys in life. I always suggest that we discuss savings over a dinner out, in an attempt to match his enthusiasm. 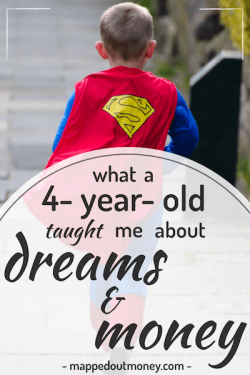 All this to say, the joy of saving doesn’t come naturally to everyone. And when you’re a newbie with emergency funds, trying to save 3-6 months worth of expenses is daunting. 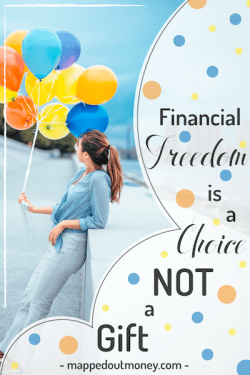 Student loans, beginner level income, and the temptations of going out and traveling with friends can make saving $1 a challenge… much less 3-6 months worth of dollars! 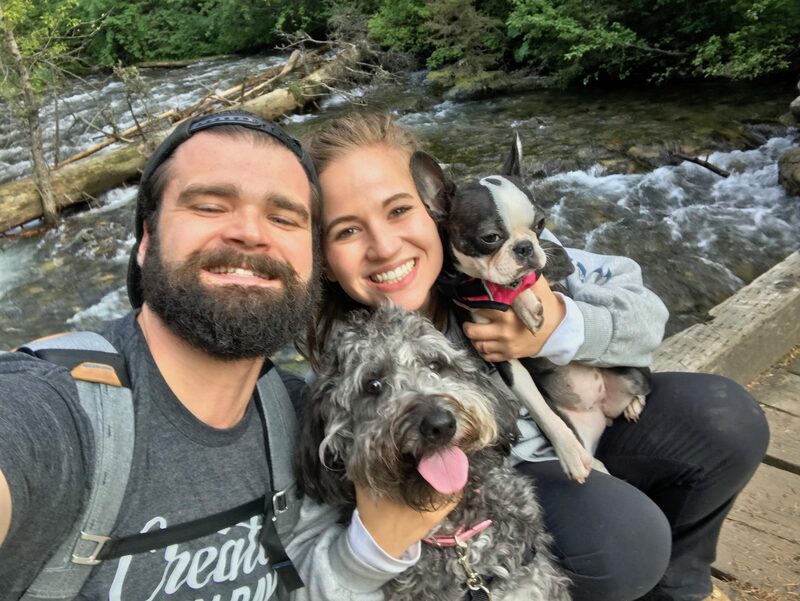 Which leads us to Nick’s beloved savings opportunities, and I think these two are his ultimate favorites… identify your spending style and prioritize your spending. 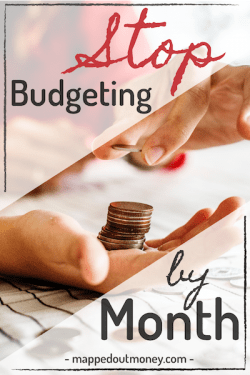 Paula Pant hit the nail on the head with her tagline… “You can afford anything, but not everything.” Ironically, an important step in saving is learning how you most enjoy spending. Do you actually enjoy going out to lunch with co-workers, or are you just doing what’s expected? Is the 5th Patagonia jacket in your closet increasing your joy and improving the quality of your life, or did you go a little overboard in trying to look outdoorsy? Side note: I’m not hating… I own 3 Patagonia jackets, and each makes me look more outdoorsy than the last. And makes me oh so happy to slip into on a cold, dreary day. The point here is to improve the efficiency of your spending. Only spend on the things you most enjoy. This allows you to maximize your enjoyment through minimal spending. If traveling with friends is your top priority, then cut other areas of surplus spending to boost your travel fund. By prioritizing spending, you can enjoy your money while still achieving your savings goals. So brainstorm, identify the areas of surplus spending that provide you the most enjoyment, and then cut the rest. Every dollar you save is a dollar that can help get you out of life’s inescapable pickles. Now back to this whole emergency fund business. 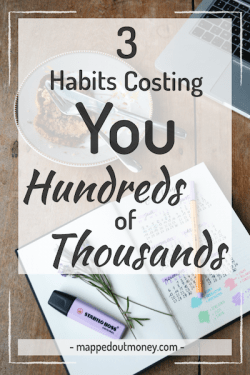 Let’s start by identifying a savings goal that’s unique to your situation. A single twenty-something with relatively few financial responsibilities will have a different target number than a twenty-something supporting a family. The traditional emergency fund of 3-6 months of living expenses is based on the average unemployment lasting about 3 months. Hypothetically, your emergency fund is set aside to deal with unexpected job loss. But this may not be the ideal mindset for establishing an emergency fund in your twenties. Let’s break twenty-somethings down into 2 main categories for the sake of clarity: those who have minimal financial responsibilities and those acting as head of a household. This category consists of those of you who don’t have kids depending on you for their well-being. Me: Yes, yes they do. Pets are children. Skip to the next section. Jk, jk… kinda. We’ll talk about pets and other categories in a bit. You’re still relatively familiar with college dorm days where you shared a 200 sq. ft. bedroom with 4 people and used a communal bathroom. You can rough it. After all, there’s a reason they make camp toilets (we used one of these on a camping trip out West… most epic bathroom scenery we’ve ever had). And when an emergency hits, roughing it is exactly what you’re prepared to do. You can quickly pick up an extra job, add some roommates, and survive off Ramen noodles in order to deal with your newfound emergency expenses. If this describes you, then setting aside 3-6 months worth of expenses is probably unnecessary right now. This is especially true if you have student loans or credit card debt hanging over your head. Because unfortunately, life doesn’t work like my interest-free spending money loans. So establish your base emergency fund to prevent going into further debt when peril strikes, then throw the rest of your money at demolishing debt. Once you vanquish the debt, then you can build up to the full emergency fund of 3-6 months worth of expenses. Now, let’s move on to our next group. These guys have mastered #adulting. They’re married, have kids, and probably own a house. If they lose their job or have a medical crisis, there are still significant bills that have to be paid and downsizing is more difficult than for their dorm-savvy counterparts. If you fall into this category, it’s wise for you to build up 3-6 months worth of living expenses before giving your debt the old one-two. Liz Weston from NerdWallet says, “one of the first steps in climbing out of debt is to give yourself a way not to go into further debt.” I totally agree. And the NerdWallet article also has a nifty Emergency Fund Calculator at the end. Now that you know your basic category, what’s next? $1,000 is a great place to start for both of our twenty-something categories. Setting aside $1,000 provides momentum to continue your emergency fund journey. It also gives a solid cushion to deal with small emergencies without acquiring new debt. An extra grand on hand helps transition your mindset away from living paycheck to paycheck. And a simple mindset change can make a monumental difference. You’ll continue to look for ways to get ahead and stay ahead. As you start saving your $1,000, make sure you don’t neglect your base level expenses. Continue tackling at least the minimum payment for all your loans. Then focus your energy on saving your $1,000 cushion as quickly as possible. 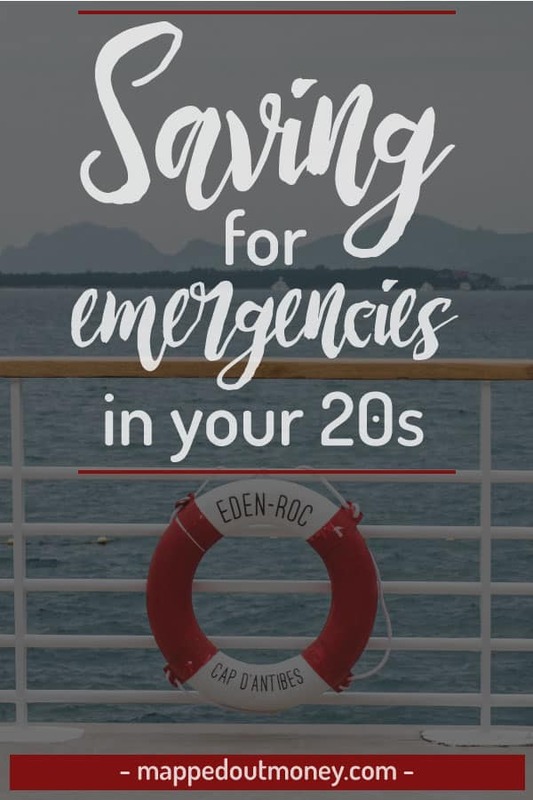 An established emergency fund, even if it seems relatively small, is the first step to gaining control over your finances. Remember when I mentioned that we have multiple emergency funds? Well, that’s where the pets come in. 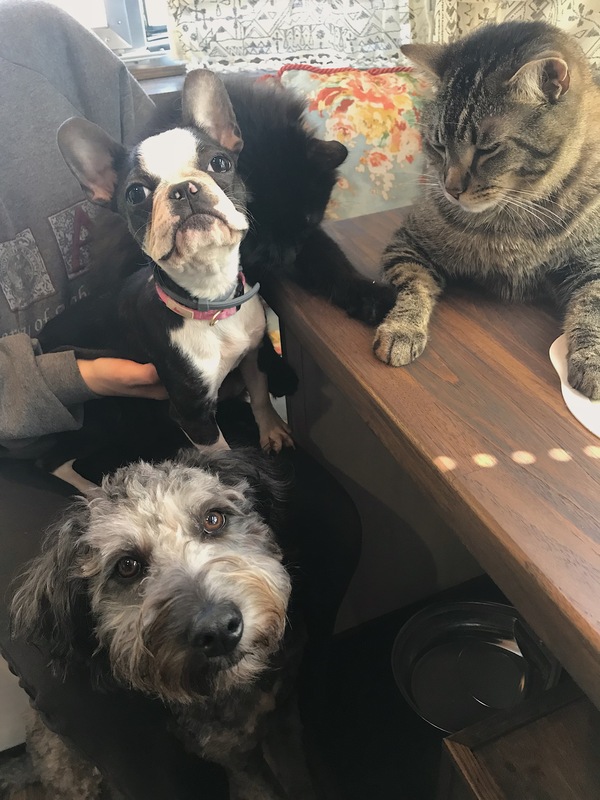 We have 4 pets (2 cats and 2 dogs), which we lovingly refer to as the True Zoo. And as any animal lover knows, with great pets come great responsibility… that’s how that goes, right? Seriously, there are ALWAYS unexpected expenses that arise with pets. Hopefully, they’re relatively small incidences and don’t involve a medical emergency. But the fact is, you just never know. For example, one day we got home from work and found Walter Cronkat holding his head sideways and running into walls when he tried to walk. We were overcome with a mixture of amusement and concern. Of course, we rushed him to the vet where they ultimately found a HUGE chunk of ear wax throwing off his balance. Literally, it was so much ear wax that the vet saved it to show us… gross. But anyways, Nick and I choose to tackle this part of pet parenthood by using pet insurance and also setting aside a pet emergency fund. We both acknowledge the fact that we would sell our kidneys on the black market to save our pets. So it’s best to pay monthly pet insurance and establish a pet emergency fund in the case that, heaven forbid, something catastrophic happens with our zoo. We also choose to have a separate emergency fund for our Airstream. Because just like a house, there always seems to be something that we need to fix. Breaking our emergency funds up into smaller chunks prevents us from getting too comfortable. So for us, it’s important to maintain each of these funds individually. There’s no hard and fast rule that works for everyone. Some of us are naturally bigger risk takers than others. 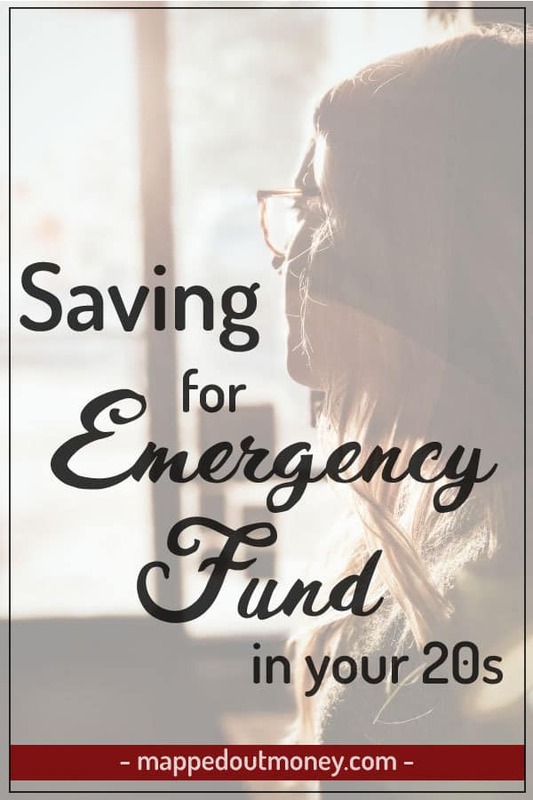 If you like to play it safe, then you may want to consider building up your emergency fund more quickly to help you sleep soundly at night. The long-term goal for everyone’s emergency fund should absolutely include saving 3-6 months of living expenses. 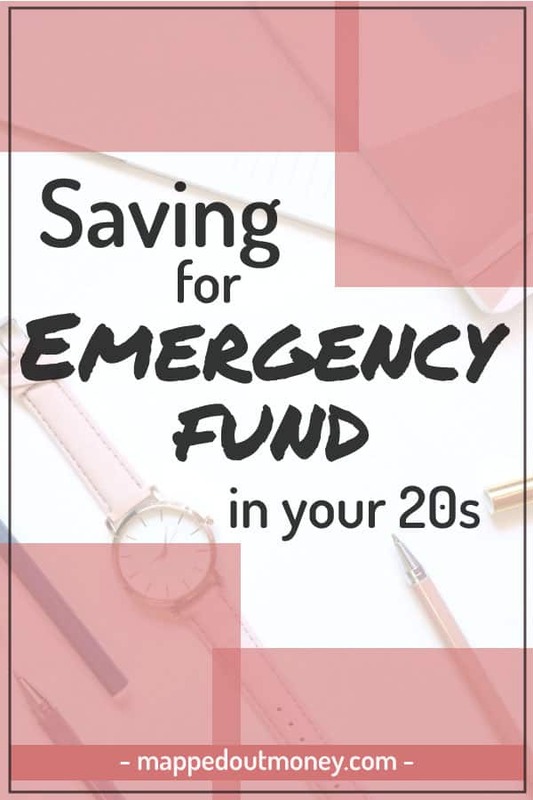 But if you’re a twenty-something with relatively few financial responsibilities, it may serve you well to attack your debt with more tenacity before establishing a gargantuan emergency fund. 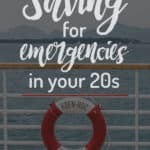 As my MeeMaw says, “Different strokes for different folks.” So examine your situation, set your goal, figure out your saving and spending strategies, and knock out that emergency fund.